Living room, Kitchen , Coffee corner , Front Desk Service, Fitness Center with drinking water supply. Perfect place to stay while attending a UN event. Spacious and comfortable. I’ll definutekybstay here again! Clean and comfortable apartment. Feels like home. Staff was friendly and professional. Location excellent, rooms perfect, reception and office staff great! Nice to have pastries for breakfast and hot drinks available in the lobby. Also, loved the toiletries in the bathroom. A very quiet room, no noise from the corridor or adjoining rooms. I liked the front desk staff, they were all friendly and very helpful. Hi five to them ✋✋👊🏾👊🏾🤩🤩 The bed was much better than my previous hotel bed, at least the backache was not much. The Receptionist Hose, was really courteous. Also all the other receptionists were excellent. (Hector and Ayaman?). Really sweet. Spacious and comfortable apartment. Free bagels and coffee Friendly folks at the reception desk. Lock in a great price for The Beekman Tower – rated 8.2 by recent guests! One of our best sellers in New York! The Beekman Tower is located in the Midtown East district of New York, a 15-minute walk from United Nations New York and 0.9 miles from Museum of Modern Art. Complimentary WiFi is provided. Chrysler Building is an 18-minute walk from the apartment, while Top of the Rock is 0.9 miles from the property. The nearest airport is LaGuardia Airport, 7 miles from the property. When would you like to stay at The Beekman Tower? This apartment features a kitchenware and stovetop. This studio has a kitchenware, microwave and kitchen. 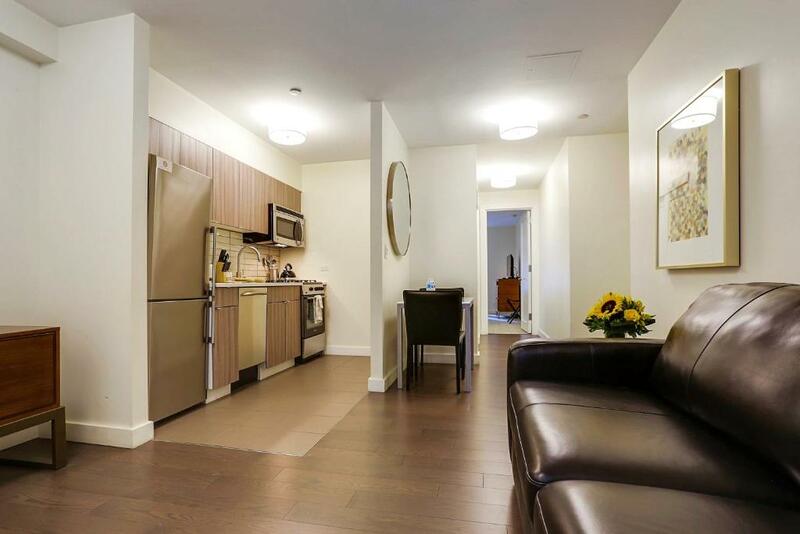 This apartment features a tea/coffee maker, stovetop and air conditioning. This apartment features a dishwasher, oven and air conditioning. Area Info – This neighborhood is a great choice for travelers interested in food, restaurants and walking – Check location Great location - show map Guests loved walking around the neighborhood! House Rules The Beekman Tower takes special requests – add in the next step! The Beekman Tower accepts these cards and reserves the right to temporarily hold an amount prior to arrival. Guests must be 25 years of age or older to check-in and must be staying at the property. There is weekly house keeping on this property. Please inform The Beekman Tower of your expected arrival time in advance. You can use the Special Requests box when booking, or contact the property directly using the contact details in your confirmation. Concierge very helpful, breakfast delicious. Breakfast was horrible and garbage in room not cleared in four nights. Breakfast was Horrible! My strong point of dislike. Only bagels, pastries, coffee and tea. not healthy at all. No cereals , no cream , no boiled egg, no fresh milk. Room cleaning every 4 days is too long. should be every 2 days. No ventilation in the bathroom Heater restart working with very loud noise. Rooms were very small compared to the amount paid. This is not a hotel, room service doesnt exist, the staff are useless as we reported a problem several times but we had no answer until the day before check out. The only thing that makes it a suite is the kitchen, and Id rather book a real hotel instead. The room smelled awful, bathroom too. Some of the staff were talkative but still useless when needed. Bottom line: find yourself another place. I asked at reception 4 times for the pull-out bed and bedding that I had requested when making the booking, but it was never delivered to the room. Gave up asking after day 3 so my son ended up sleeping on the sofa for 4 nights and we shared the bedding that was on our bed. Fully equipped studio. Large space. The fact that the heating was a little bit erratic, however it was fixed, but I almost caught a chill before it was fixed. Housekeeping didn't come to the apartment during entire stay. Garbage piled up over a few days. Some of the kitchen dishes weren't cleaned properly from previous guests. I had to wash dishes before using them. It was a bit cold in the living room at night (NYC winter). Some throw blankets for the couch would be nice to keep warm, I didn't want to pull the blankets from the bed to use on the couch while watching TV. Slippers and robes would've been nice (to keep me warm).